Throughout Canada, workers have the right to join a union and choose a union to represent them when dealing with their employer. In CUPE the members are in charge. Each CUPE local decides its priorities for bargaining, when to settle a new contract, and how to manage funds. Together we maintain and improve wages and benefits, improve health and safety conditions, and make your workplace better. There are over 639,000 CUPE members in Canada, and that number is growing. Most of our members work in the public service. We have members working in municipalities, education, health care, social services, airlines, communications, and more. Call (506-458-8059) or email sdelaney@cupe.ca. Ask to speak with an organizer. He or she is a specialist in labour law and will answer all your questions. All contacts with CUPE are confidential. 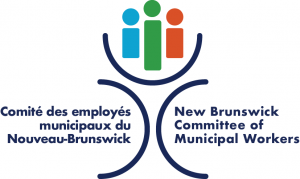 If between 50 per cent and 60 per cent of workers sign cards, the New Brunswick Labour and Employment Board (NBLEB)may certify the union automatically. If more than 60 per cent of the workers sign cards, the NBLEB will certify the union automatically. Go to step 5. If between 40 per cent and 50 per cent of the workers sign membership cards, the NBLEB will hold a vote to see if workers want a union. The NBLEB holds a secret ballot vote. Anyone who is in the bargaining unit the union applied to represent can vote. If the majority (50%+1) of workers who cast ballots vote to unionize, the union is certified. Step 5: You now have a Union : time to negotiate! The union will serve notice to your employer to begin bargaining your first contract. Your employer and CUPE representatives (including workers from your bargaining unit) sit down to negotiate the collective agreement. This agreement – the union contract – sets out the wages, benefits, working conditions, job security and other rights of the workers. Remember that local certification process is confidential. Employers are not entitled to know who signed cards. Votes are held by secret ballot. Workers are protected by law from punishment by employers for engaging in union activity. This means that every worker in the province has the right to join a union if they choose. Joining a union means having the power to negotiate your terms of work with your employer, and usually means better pay, more benefits, a safer work environment, and fairness and dignity in the workplace. Union jobs are good jobs, and good jobs grow healthy and vibrant communities.